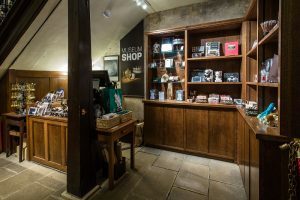 Chris Parkin (Education Officer) talks about the Museum’s new shop project with Banbury College of Art and Design (Oxford Brookes), and the Royal College of Art (RCA). Many of our visitors will have noticed the exciting new development that is the MHS shop ingeniously located beneath the old staircase. The shop has begun to stock bespoke merchandise which reflects the beauty and mystery of unique objects in the collection. Such was the source of inspiration for two groups of creative art and design students from Banbury College of Art and Design (Oxford Brookes), and the Royal College of Art (RCA), who were involved in a project initiated by the Museum’s education department to develop innovative product designs for the Museum’s shop. 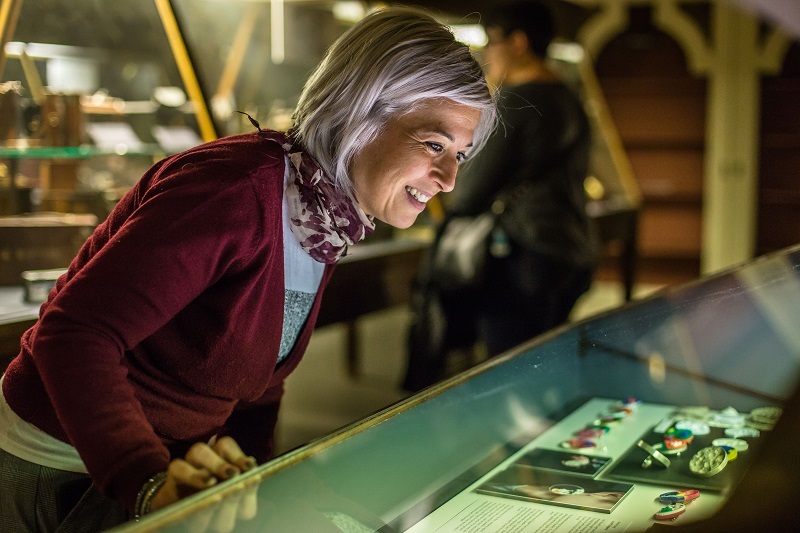 After initial research visits to the Museum in which the students were treated to interactive highlight tours, the students were set a brief to develop proposals for new merchandise. The students returned in January for a study day in which they were introduced to the Museum’s shop, attended a fascinating lecture on museum retail given by the Ashmolean’s commercial director, Lycia Lobo, and were treated to a tour of the shop at the Old Fire Station. In March the students braved a Dragon’s Den event, hosted by the Museum, in which they had the opportunity to pitch their product proposals to a daunting panel of five museum professionals including the museum’s director, Dr Silke Ackermann. Students had clearly relished the opportunity to develop their own unique lines of enquiry. 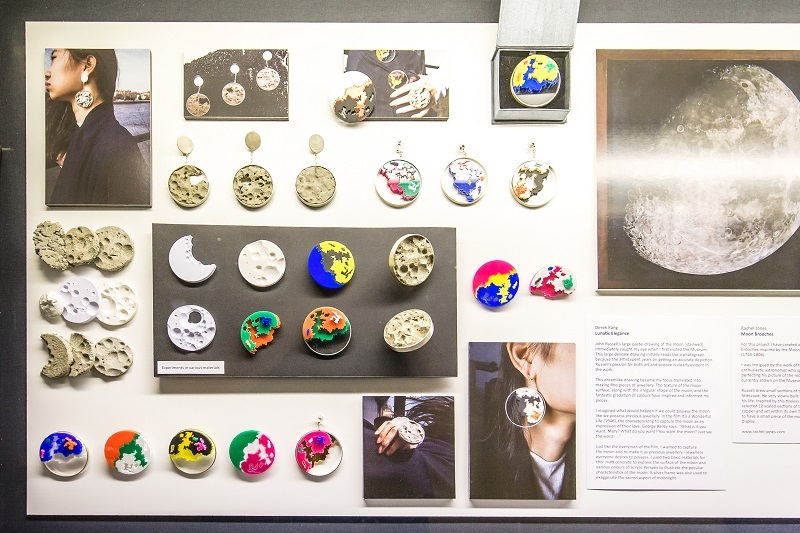 Chris Massey (RCA) explained how he began by exploring the physical function and light mechanics of a traditional spectroscope, and related those to modern gemstone faceting techniques, the resulting optics of jewellery and finally to branded colours. Louise Williamson, the course lecturer from Banbury College of Art and Design, delighted in the opportunities that her students had been given and the positive outcomes of the project. Indeed, the experience has led her and colleagues to consider the possibility of developing a new module for a course in illustration currently proposed at Oxford Brookes focusing on commercial innovation. The project has led her to think more about how contrasting models of small batch production and mass production can sit together in the retail setting. 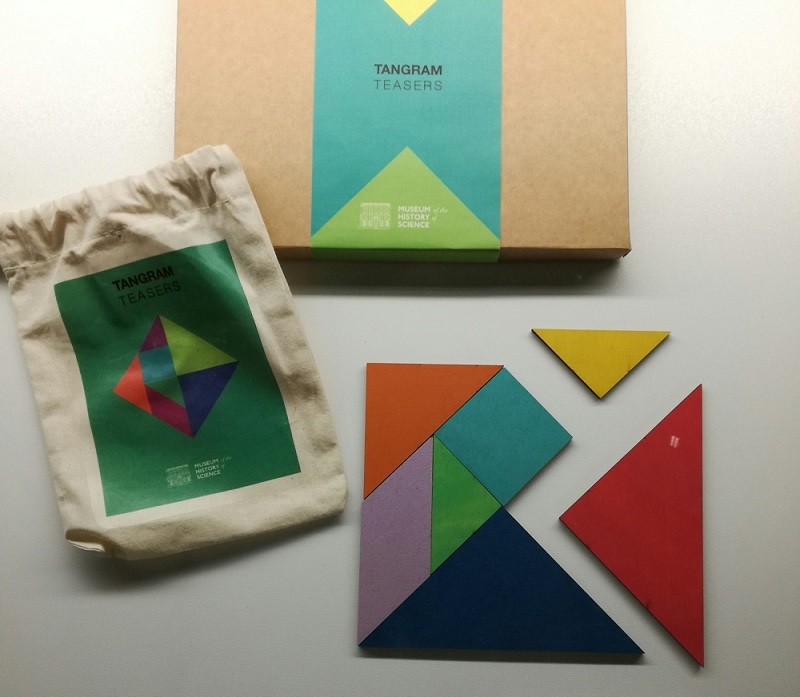 The project has been so successful that, following the ‘Dragon’s Den’ style finale, several of the proposals were selected for commercial development including an ingenious Tangram puzzle (Hayley Ash), a unique set of greetings cards featuring unusual objects from the collection (Joanne Woodward), and a collection of high end silver jewellery (Anthony Wong). Over the summer months there will be a changing display of the students’ work in the library cabinets in the basement gallery.